Jaap van Zweden (Dutch pronunciation: [ja:p fan zwe:dən]; English: /jɑːpvænzweɪdən/ ) (born 12 December 1960) is a Dutch conductor and violinist. He is currently music director of the Hong Kong Philharmonic Orchestra and of the New York Philharmonic. Oskar Back was a noted Austrian-born Dutch classical violinist and pedagogue. He taught at the Amsterdam Conservatory for 42 years, and also had a significant earlier teaching career in Belgium. In 1979, at age 18, van Zweden became one of the two concertmasters of the Concertgebouw Orchestra. He was the youngest violinist ever to assume that position, which he held until 1995. He performed as a soloist with many other orchestras as well. The concertmaster in the U.S. and Canada is the leader of the first violin section in an orchestra and the instrument-playing leader of the orchestra. After the conductor, the concertmaster is the second-most significant leader in an orchestra, symphonic band or other musical ensemble. Another common term in the U.S. is "First Chair." In the U.K., Australia and elsewhere in the English-speaking world, the term commonly used is "leader." The Dallas Symphony Orchestra (DSO) is an American orchestra based in Dallas, Texas. Its principal performing venue is the Meyerson Symphony Center in the Arts District of downtown Dallas. The Hong Kong Philharmonic Orchestra, commonly abbreviated as HKPO or HKPhil, is the largest symphony orchestra in Hong Kong. First established in 1947 as an amateur orchestra under the name Sino-British Orchestra (中英管弦樂團), it was renamed the Hong Kong Philharmonic Orchestra in 1957 and became a professional orchestra in 1974 under the funding of the government. The Rotterdam Philharmonic Orchestra is a Dutch symphony orchestra based in Rotterdam. Its primary venue is the concert hall De Doelen. The RPhO is considered one of the Netherlands' two principal orchestras of international standing, second to the Royal Concertgebouw Orchestra of Amsterdam. In addition to symphony concerts, the RPhO performs as the opera orchestra in productions at De Nederlandse Opera, as do other Dutch ensembles. Het Residentie Orkest is a Dutch orchestra based in The Hague. Its primary venue is the Zuiderstrandtheater. Claus Peter Flor is a German conductor. Markus Stenz is a German conductor. He studied at the Hochschule für Musik Köln with Volker Wangenhein and at Tanglewood with Leonard Bernstein and Seiji Ozawa. The Radio Filharmonisch Orkest is a Dutch radio orchestra, based in Hilversum. The RFO performs under the aegis of the Muziekcentrum van de Omroep, an umbrella organization bringing together the music departments of the various broadcasting associations affiliated to Nederlandse Publieke Omroep. The Netherlands Radio Symphony Orchestra (NRSO) was a Dutch radio orchestra. It was founded in 1985 after a merger of the Promenade Orchestra and the Radio Orchestra. 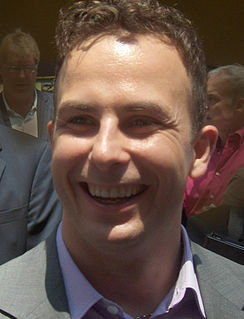 Yannick Nézet-Séguin, CC is a Canadian conductor and pianist. He is currently music director of the Orchestre Métropolitain (Montréal), the Metropolitan Opera, and the Philadelphia Orchestra. He was also principal conductor of the Rotterdam Philharmonic Orchestra from 2008 to 2018. 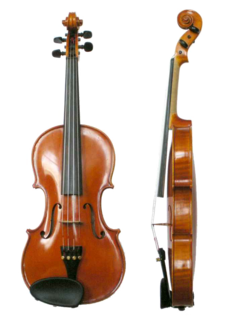 The Netherlands Symphony Orchestra is a Dutch symphony orchestra. The home of the orchestra is the Muziekcentrum in Enschede. The orchestra was previously known in Dutch as Orkest van het Oosten, but in October 2011 changed its Dutch name to align with the English name. At the same time the Dutch abbreviation "OvhO" was replaced with "NedSym." Due to objections from the Amsterdam-based Netherlands Philharmonic Orchestra, the Enschede orchestra had to change its name again and is since 2014 called HET Symfonieorkest. 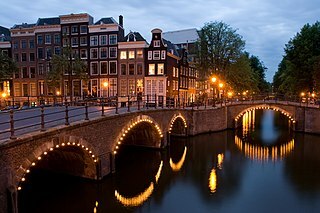 Internationally it keeps employing the name "Netherlands Symphony Orchestra". Het Brabants Orkest was a Dutch symphony orchestra, based in the province of North Brabant. Its principal concert venue was the Muziekgebouw Frits Philips in Eindhoven. The orchestra also gave concerts at the Theater aan de Parade in 's-Hertogenbosch, the Concertzaal in Tilburg, and the Chassé Theatre in Breda. The Nederlands Radio Kamer Filharmonie (RKF) was a Dutch orchestra active from 2005 to 2013. It was based at the nl:Muziekcentrum van de Omroep (MCO) and performed concerts at the Amsterdam Concertgebouw. The orchestra was formed in 2005 as a merger of the nl:Radio Kamer Orkest and some of the players of the Radio Symfonie Orkest, though many of the functions and players of the RSO orchestra were instead merged into the Netherlands Radio Philharmonic. James Gaffigan is an American conductor. His father, Dennis Gaffigan, was a salesman for Procter & Gamble, and his mother, Cheryl Gaffigan, was a school secretary. Gaffigan was a student at the LaGuardia High School and the Juilliard School Preparatory Division. The Symphony No. 5 is a symphony for orchestra by the American composer Christopher Rouse. The work was jointly commissioned by the Dallas Symphony Orchestra, the Nashville Symphony, and the Aspen Music Festival. It was completed in Baltimore on February 15, 2015, and was first performed by the Dallas Symphony Orchestra under the direction of Jaap van Zweden at the Morton H. Meyerson Symphony Center on February 9, 2017. Karina Canellakis is an American conductor and violinist. Gustavo Gimeno is a Spanish conductor. ↑ Tim Madigan, "Conductor Jaap van Zweden's performance applauded from every corner". Dallas Star-Telegram, 28 September 2008. 1 2 3 Scott Cantrell, "New director for DSO". Dallas Morning News, 1 February 2007. ↑ Vivien Schweitzer (1 February 2007). "Dallas Symphony Names Jaap van Zweden Music Director". Playbill Arts. Retrieved 2007-08-29. ↑ "Markus Stenz chief conductor of the Netherlands Radio Philharmonic Orchestra" (Press release). Radio Filharmonisch Orkest. 17 August 2010. Archived from the original on 19 November 2010. Retrieved 2010-08-21. ↑ "Jaap van Zweden chef-dirigent in Vlaanderen". Trouw. 2006-06-30. Retrieved 2009-03-16. ↑ "Edo de Waart: Chef-dirigent vanaf 2012-2013" (Press release). deFilharmonie. April 2010. Archived from the original on 2012-07-24. Retrieved 2010-08-21. ↑ Scott Cantrell, "Guest conductor Van Zweden makes quite a showing". Dallas Morning News, 17 February 2006. ↑ "The Dallas Symphony Announces Contract Extension For Music Director Jaap van Zweden" (Press release). Dallas Symphony. October 2009. Retrieved 2009-10-24. ↑ Scott Cantrell (2013-11-24). "Dallas Symphony, Van Zweden extend contract through 2019". Dallas Morning News. Retrieved 2013-11-28. ↑ "HKPO Welcomes New Music Director Maestro Jaap van Zweden Takes the Helm from Season 2012/13" (Press release). HKPO. 16 January 2012. Retrieved 2012-01-20. ↑ "Hong Kong Philharmonic's New Music Director Jaap van Zweden Leads the Orchestra and Violinist Ning Feng in His Inaugural Concert" (Press release). HK Phil. 28 September 2012. Retrieved 2013-01-11. ↑ Cooper, Michael (June 9, 2016). "Jaap van Zweden Extends His Other Gig, 8,000 Miles from David Geffen Hall". New York Times. Retrieved June 9, 2016. ↑ Anthony Tommasini (2012-04-13). "Star Pianist Establishes the Tempo of the Night". The New York Times. Retrieved 2016-01-31. ↑ Anthony Tommasini (2014-11-27). "Beethoven, 'Cyrano' and Samplings From Film Scores". The New York Times. Retrieved 2016-01-31. ↑ Zachary Woolfe (2015-10-30). "Review: Jaap van Zweden, Precise at the New York Philharmonic". The New York Times. Retrieved 2016-01-31. ↑ Michael Cooper (2016-01-27). "New York Philharmonic Taps Jaap van Zweden as Its Next Maestro". The New York Times. Retrieved 2016-01-27. ↑ "The Dallas Symphony Orchestra congratulates Jaap van Zweden on the announcement of his appointment as Music Director of the New York Philharmonic" (Press release). Dallas Symphony Orchestra. 2016-01-27. Retrieved 2016-01-31. ↑ Laura Korenman (2 April 2007). "Conduct Energy. Conduct Heat". Playbill Arts. Retrieved 2007-08-29. ↑ Scott Cantrell, "Dallas Symphony's new director offers views on Dallas, plans for orchestra". Dallas Morning News, 8 September 2008.